The redcurrants from our garden all ripened last weekend, and so we made redcurrant jelly. 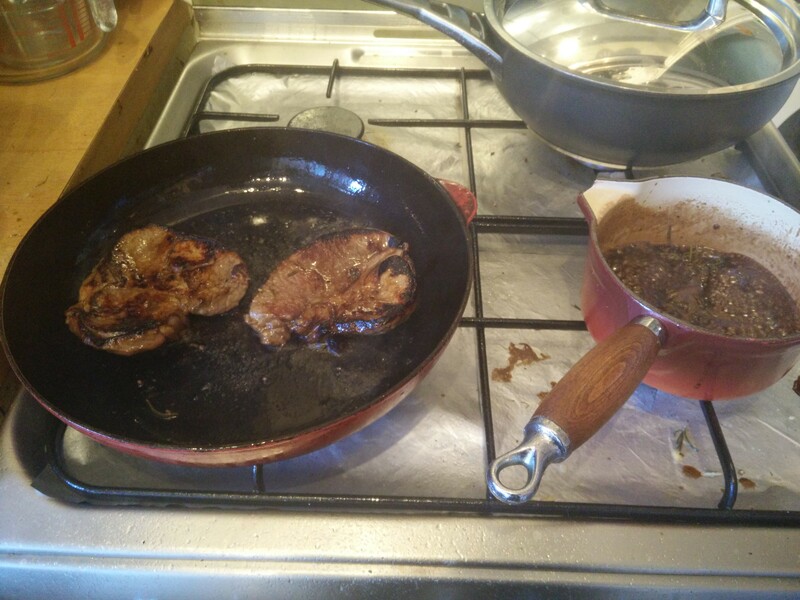 We gave away a number of jars, but we’ve still got an excess of the stuff, so we looked around for recipes to use it up and found this nice recipe for lamb steaks. 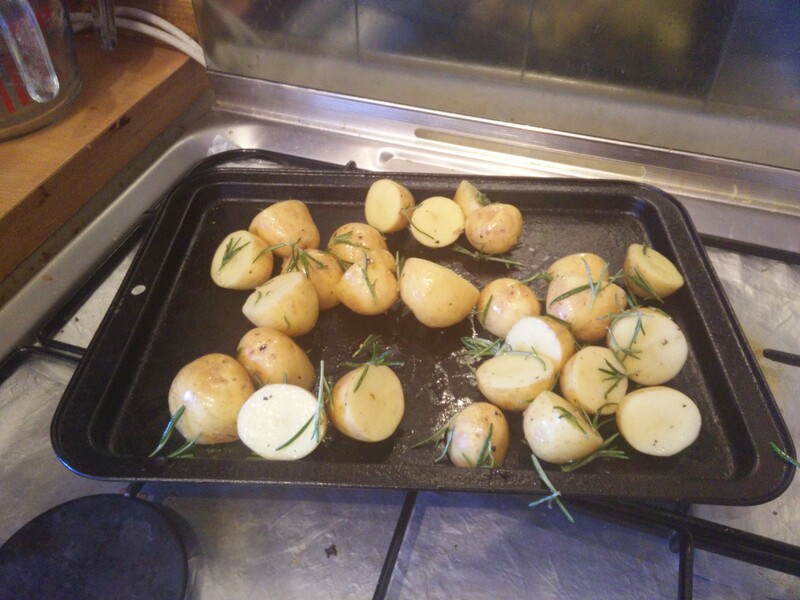 The steaks won’t take very long, so first thing to sort is rosemary potatoes. With those in the oven the lamb and sauce can be prepped before frying of the steaks and reducing of the sauce that had previously been used as a marinade. 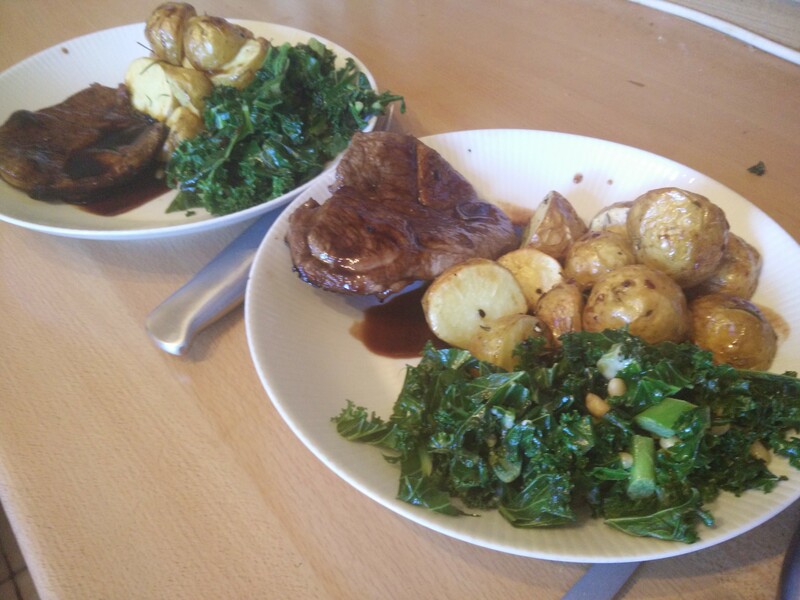 The pan at the back contains some kale that’s getting steamed with some pine nuts, which is easy but with the steaks and sauce and everything wasn’t the easiest thing to time! The sauce was really good, and despite the timing complications the lamb was cooked just right. The only problem is… it only used up two tablespoons of redcurrant jelly! Redcurrant jelly with every meal from now on. On toast with breakfast is great.